Creating, Storing and Re-using our intellectual design documents can be challenging at times. DFMEA document – a repository for Design Knowledge and Considerations – should always be made available with the Design data with appropriate security and control. 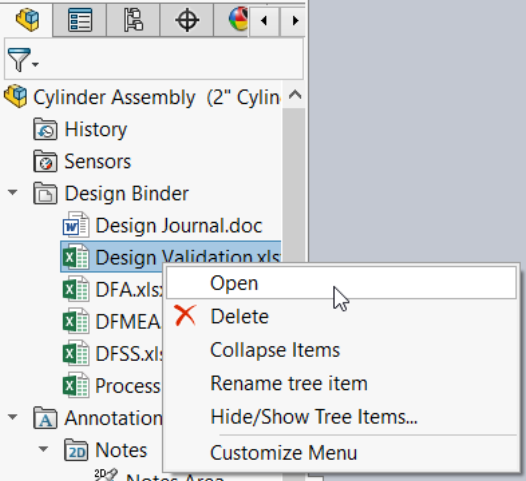 Design binder is an easy way to keep design information’s like revisions, analysis, or other relevant, non-CAD data with your model. How to show design binder folder if missing? 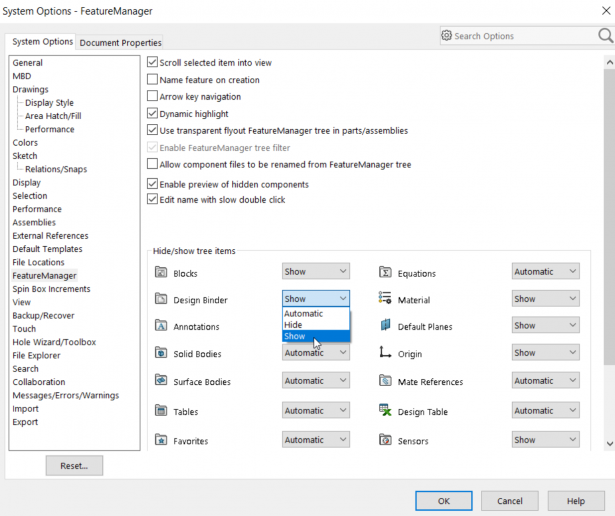 Tools > Options > System Options > FeatureManager > Design Binder. Select “Show” on drop-down to make sure the folder is visible at all times. 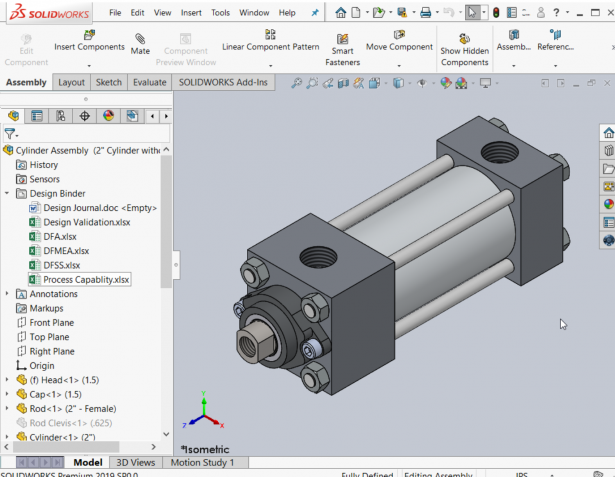 The SOLIDWORKS Design Journal helps to keep notes and add pictures in an embedded word document. These fields are linked to custom properties and updated whenever the journal is opened. Attach documents such as PDF, Word, Excel by right-clicking on the design binder folder and select “Add Attachment” from the pop up menu. 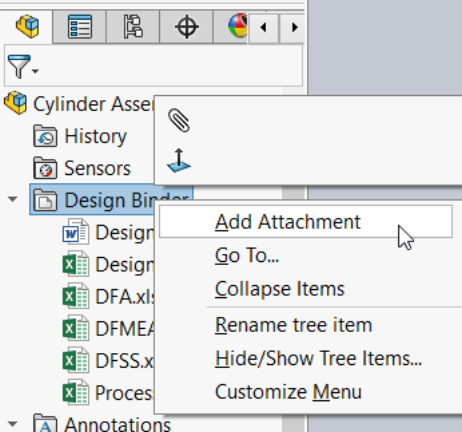 The files under the Design Binder folder can be opened from within SOLIDWORKS by right-clicking on the file and select “Open” from the shortcut menu. Enable the link between original document by selecting “Link” in the pop up menu. Therefore, any future changes in the original document will be captured in the design binder document. This is extremely important for any organization in terms of Intellectual Property Rights (IPR) considerations and product value. The knowledge wealth gets retained by the organization and put to re-use thereby eliminating re-construction of design data.